The accepted view of photography is that its purpose is to represent things and events found in the external world. One part of this belief was implanted at the very moment when this means of making images was launched into the world in 1839. Photography was thought of, by those who invented it and first used it, as offering a means whereby Nature could present its own image, unclouded and undiluted by human interpretation. This approach was reinforced by the fact that a powerful religious revival was taking place at that time, both in Europe and in North America. In photographic images religion and science could be seen walking hand in hand– the Nature that impressed itself on sensitized chemicals through the intermediary of the lens was fully identified with the Divine Creator. The other part of this conviction comes from something more mundane – the fact that photography and the moving images derived from photography are now the lingua franca of image making, used for all kinds of practical purposes that have nothing to do with art. This exhibition of photographs by Charles March, Nature Translated, demonstrates just how much the photographic universe has changed in the nearly two centuries since the medium was invented. They demonstrate how far the medium can be pushed, and how flexible it is in the hands of an inventive practitioner. March has been in love with photography since the age of twelve. He began his professional involvement with the medium with time spent as an apprentice to the film director Stanley Kubrick, working on Kubrick’s masterpiece Barry Lyndon. This was followed by a stint as a documentary photographer in Africa, followed by twenty years in the advertising industry, working as a specialist in still life, and producing the 10” x 8” transparencies that were the standard format for top-quality still life images at that time. Many of these images were used as fodder for huge 48-sheet posters. Even then, he was dissatisfied by aspects of photography of this sort. He describes himself as “always sticking stuff over the lens and doing things technically to knock bits of the image back, as it all seemed too garish and too sharp”. What liberated him was the advent of digital photography, which permits a much freer approach. His photographs of trees are seldom or never meticulously detailed, in a way that we still tend to describe as ‘photographic’. Instead they seem astonishingly free, with the kind of rapidity and sketchiness that we feel is appropriate to drawings – even more so perhaps to the wilder kind of classical Chinese ink-painting. He says: “What I am looking for is the quality in the print and the quality of the structure of the image, and not to be distracted by too much detail. I am not keen on giving too much information – I want the viewer to make some of it up. The idea is to create something that makes people think a bit differently about what they see – something that emotionally involves them”. If we consider what separates making drawings and paintings from making photographs, one difference is so obvious that it frequently goes unmentioned. This is the fact that drawings and paintings are time-based. Even the very slightest drawing – a rapid scribble by Picasso, for example – takes the draftsman several moments to create. This is not true of photographs as they are traditionally considered. A photographic image, in its purest form, is the record of a single instant, a slice through time. This is true to some extent about what is shown here, but a major difference is that the camera moves as the image is created. Different effects are created according to the direction of movement, combined with the chosen shutter speed. Charles March talks of this as a way of creating “an almost emotional randomness” that matches the way in which the camera is used – almost as if it was a freely moving pencil or brush. All these effects are created within the camera itself. None depend on the computer or post production technique. This is very much in step with the way in which photography has developed as it moved away from absolute literalism. As photographers began to see this new way of making images as something that did offer opportunities for personal expression, rather than being simply an impersonal record of what was in front of the lens, they started to look for ways of breaking this apparently rigid mould. The Victorians, for example, resorted to the use of multiple negatives, which enabled them to produce elaborate figurative compositions based on the academic paintings of their day. The artists of the early 20th century Photo Secession, led by the leading American photographers Alfred Stieglitz and Paul Strand, experimented with images that focused on some part or detail of what was seen – this forced the spectator to make an imaginative leap to envision the whole. Photographs of this kind echoed the preparatory sketches made by the Old Masters. Stieglitz’s studies of the hands of his wife, the painter Georgia O’Keeffe, deliberately invite comparison with Leonardo da Vinci’s studies of hands. Another form of experiment was with scale. Advances in technology facilitated the creation of much larger prints, until we reached the very large ones that are exhibition commonplace today, marching in step with the huge canvases that many leading contemporary painters produce. A photographic image, as photographers rapidly discovered, has no built in scale – the lens can be used to magnify or (much more rarely) diminish what is placed in front of it. Shifts of scale efficiently estrange what is represented, removing it into what seems to be a different universe. On the whole, however, photography continued to pursue the idea of ‘the perfect moment’. This was originated by Henri Cartier-Bresson and his peers, and later appropriated as the title for the touring exhibition of Robert Mapplethorpe’s photographs that caused a scandal immediately after his death. By concentrating on the moment photographs tended to value the atypical rather than the typical. For adherents of this doctrine, it was heretical to ‘cook’ the image in any way, since that removed its claim to be the vessel for some kind of extraordinary truth. It seems to be that we are only at the very beginning of this development, and that the series of photographs by Charles March shown here are an important step towards the future. 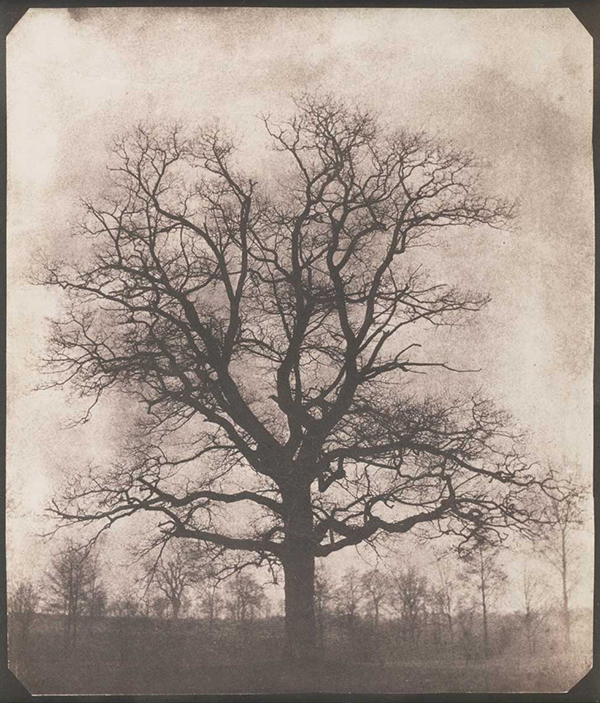 The subject matter is simple – these are images of trees, which can be seen in a broader sense as being emblems of the Nature that formed the subject matter of work by early pioneers such as William Henry Fox Talbot (fig. 1). They are, however, trees translated by a personal sensibility. They show how an aspect of nature resonates with a single individual. In making them, Charles March has turned to sources that existed before photography was invented, not only to Chinese ink-painting (fig. 2), but also to some of Constable’s pencil drawings and the ‘Colour Beginnings’ made by J.M.W. Turner (fig. 3) when planning his landscape compositions. A number of the images come from sites very close to where he lives, at Goodwood. In this sense, they can be seen as a celebration of Englishness and of the English Romantic sensibility. The technical step forward that the photographs offer is an important one. They throw this art form back into the realm of subjectivity where traditional painting and drawing have always resided, even when they tried to offer a record of a particular place or event. However they no longer attempt, as too much photoshopped photography does, to convince us that the untrue is perfectly true to life. What they offer, instead, is an image of a sensibility at grips with the real, where nothing is as yet completely concluded, and everything is still in motion. “By applying motion,” Charles March says, “I am almost making what are very static images transient.” In other words the element of motion, missing from the traditional photography, and only partially present in the simultaneous images made by scientific experimentalists such as Etienne-Jules Marey, is here triumphantly incorporated into the range of things that contemporary photography can do. Fig 1: William Henry Fox Talbot, Calotype Print, c.1844. 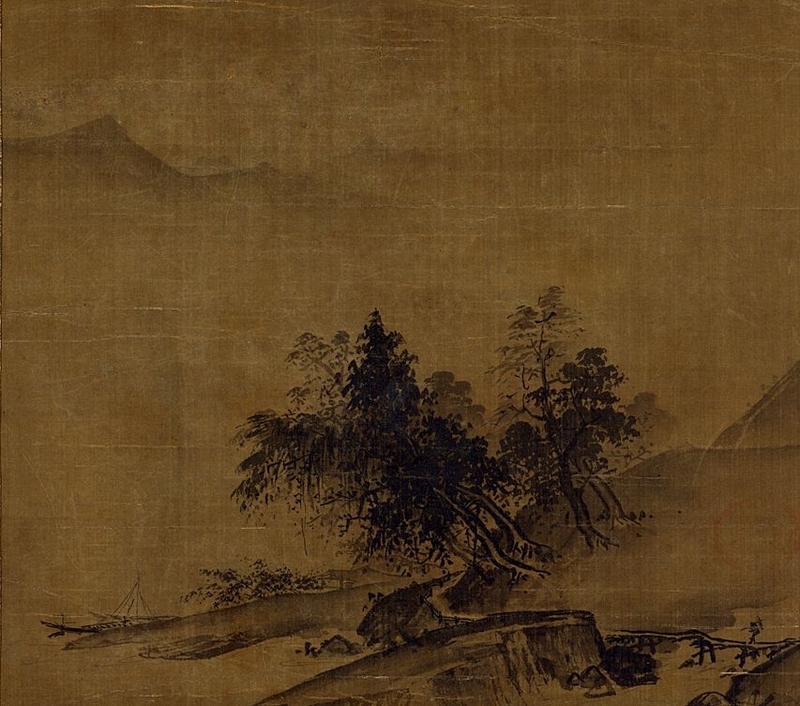 Fig 2: Album leaf by Xia Gui (fl.1195-1224), Song Dynasty landscape painter. 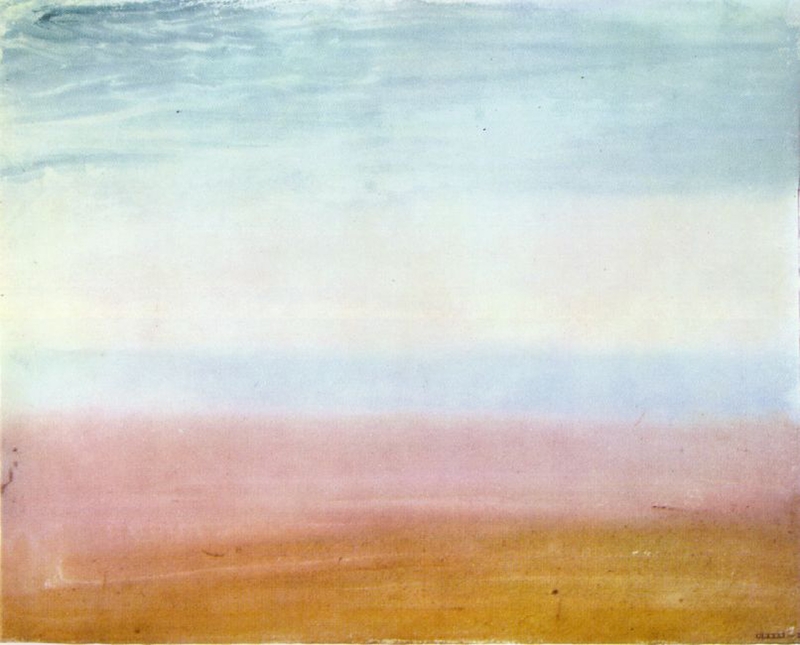 Fig 3: Joseph Mallord William Turner , Watercolour, Colour Beginning, 1819 (Turner Bequest). Fig 4: Oscar Rejlander, The Two Ways of Life. 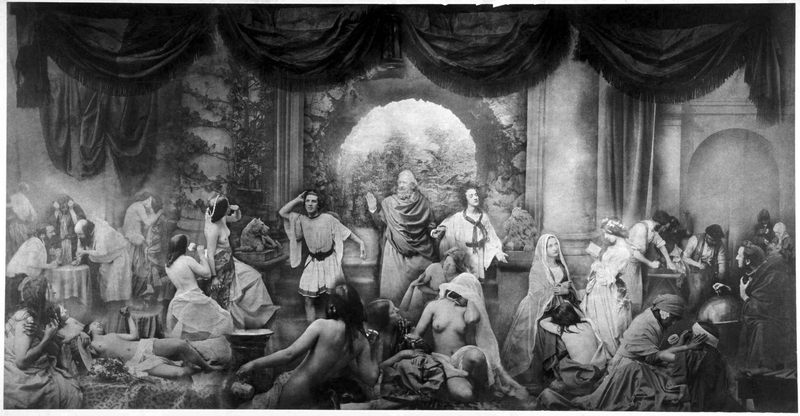 Allegorical composition made using multiple negatives, 1857. Techniques of this kind were the Victorian equivalent of photoshop.